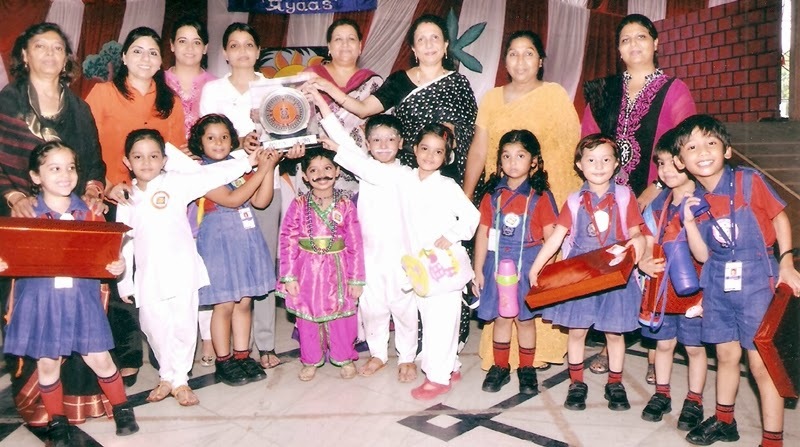 PRAYAAS An Inter School Festival was held in the school premises on 28th September where in 17 neighboring schools participated to give the children of classes Pre-School and Pre-Primary a platform to exhibit the inborn talents of the budding stars of tomorrow. Attractive prizes were given for the following age appropriate events. Luminarium: A quiz where, by rotating the wheel of fortune showing topics such as my house, fruits , vegetables etc. were designed questions were asked based on the topics. Tie breaker had puzzles etc. Paper Puppeteers: A brown paper bag was given to the children whom they were supposed to decorate it with waste material and make a hand puppet out of it. Colorama: A sheet with a drawing outline of a fruit basket was handed over to the children whom they shaded and brought to life the look of real fruits. Green-Bites: A dinner plate was given to the children on which they were asked to decorate it with healthy bites. It was a treat to watch these young chefs who explained the value of each food displayed. Swar-Tagang: A beautiful melody to ears left the judges spell bound when the raw voices sang semi classical songs to near perfection. Attired Apologue: A three minute act from Indian history mesmerized everyone when events such as Dandi march, Sicihartha becoming Buddha, Mangal pancley, Gita Updesh, Kalinga war were enacted by the young artist. A treat to watch. 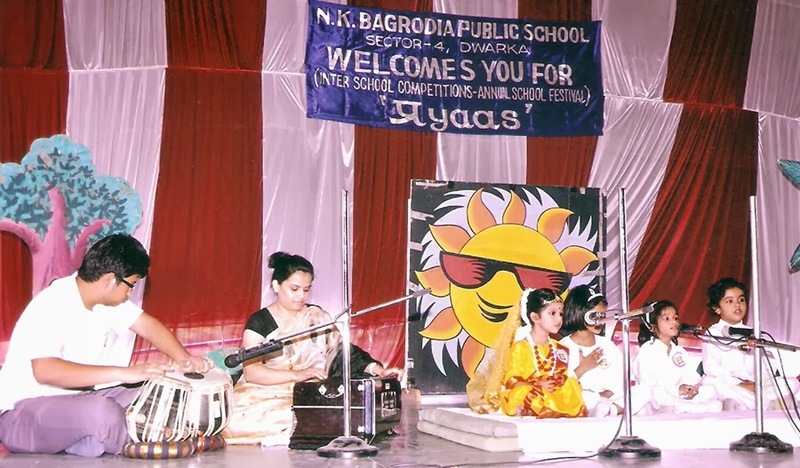 For each event judges were invited as experts ranging from Bharatnatyam, Odiisi dancers, singers, freelancers in fashion designing, social reformers, music teachers, activity teacher’s etc.to bring in un-biased, fair judgment. The dance performances by the students for the opening and closing ceremonies were also applauded by one and all.